Let’s face is ladies! 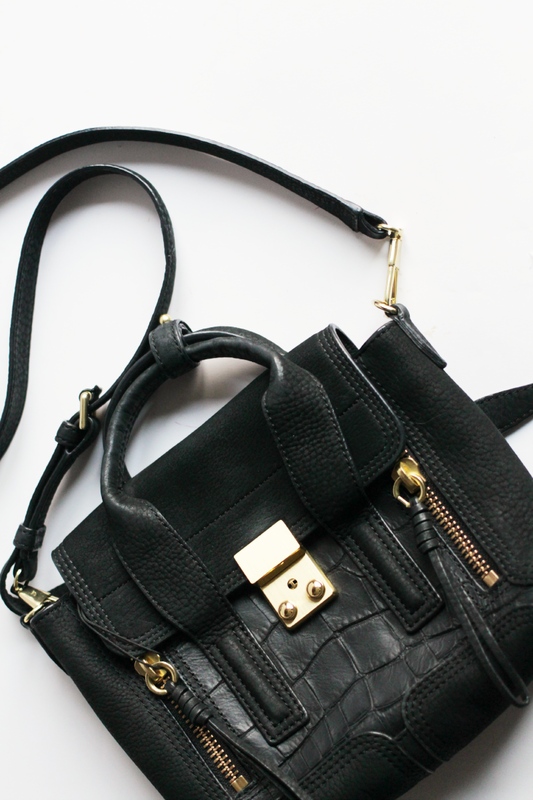 We may like makeup, shoes and clothes, but we are madly in love with handbags! A purse isn’t just an accessory. For us, it is the perfect companion. It must be spacious, functional and resistant to support our modern lifestyle. And one purse is never enough. We need a bag for every situation- a business bag, a cell phone bag, a shopping bag, a gym bag and an evening bag. But no matter how often we change our purse, one thing never changes: the secrets hidden inside the closed handbag. Below there are a few things you did not know about bags. 1. The term “handbag” didn’t exist until the railroad | The development of the railroad fueled the popularity and necessity of practical and light luggage. Women needed a more comfortable and easy to carry solution. In consequence, leather artisans started crafting smaller and versatile luggage bags that were called “handbags”. 2. The first luxury leather purse was created in 1841 by London’s H.J. Cave | Cave made resistant and small purses from very tough leather for the entire family of Samuel Parkinson, an industrialist and confectionary kingpin. His wife’s bag was smaller and had a more delicate appearance. These bags are now displayed in the handbag museum in Amsterdam. 3. Supposedly, Louis Vuitton burns all its unsold handbags at the end of the year | Rumor has it that Louis Vuitton destroys all its products at the end of the year to prevent sales that would greatly damage the brand’s exclusive image. 4. Judas is the first person mentioned in a written text as carrying a purse | Believe it or not, the Bible acknowledges Judas Iscariot as the first person to carry a purse. 5. The first unisex bag was launched in 1985 | Miuccia Prada was the first one to introduce a unisex bag that was actually a black nylon knapsack which nowadays is still in fashion. 6. The most expensive bag costs $34.5 million | The Guinness Book of World Records certifies that the most expensive bag is ‘1001 Nights Diamond Purse’ created by House of Mouawad’s. This insanely expensive model is priced at $34.5 million. 7. The average woman owns 6 handbags | It is a well-known fact that women can’t help themselves when they see a beautiful bag. This is the reason why most of us can’t limit to one or two. We simply need to enrich our closet with every fabulous purse we see. 8. 2 out of 10 designer bags we see on the street are fakes | Sad, but true! 2 out of 10 designer bags we see at women around us are fakes. Some buy these cheap products intentionally to pose as a more stylish, elegant and sophisticated woman while others buy it believing that it is the original thing. To avoid getting scammed like this, you should first research the purse you want to get. Guides such as ReplicaTellTale.com are really helpful for understanding the subtle differences between the authentic bag and a knockoff. 9. Bags were first worn by men | Ancient African priests were known for their affinity for beaded bags that were used for carrying their essentials around while Ancient Egyptian hieroglyphs prove that men were carrying pouches long before women. 10. Margaret Thatcher was famous for “hand bagging” her opponents | The controversial Margaret Thatcher was highly discussed for her style and the some forthright words she swung at her opponents. They were always disarmed by her verbal attacks like if she had hit them with her handbag.